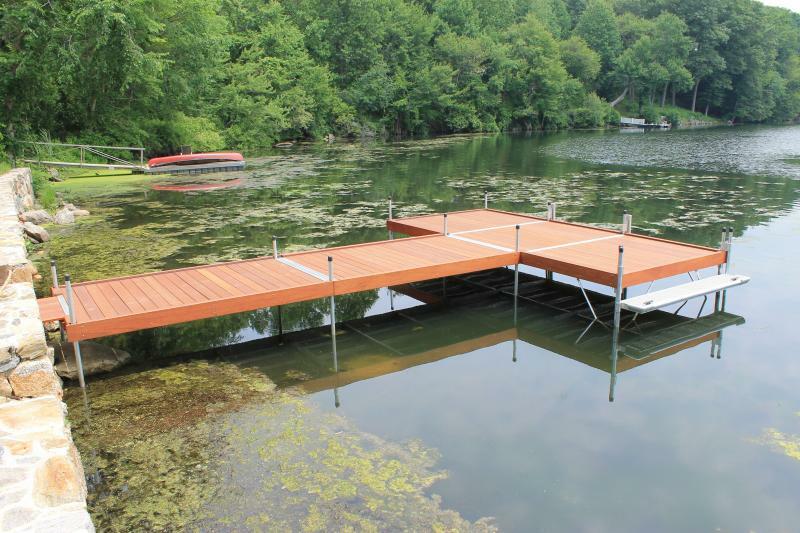 Duralite is our premium, heavy duty aluminum line of stationary and floating docks. 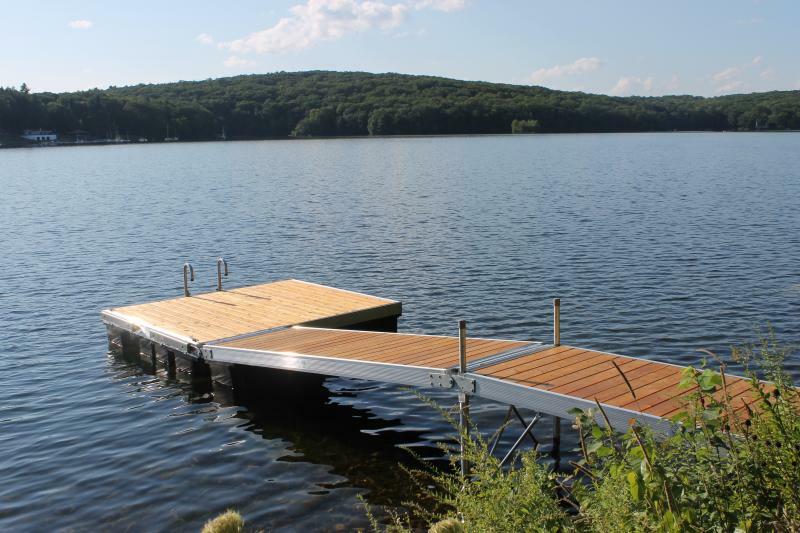 Duralite is made in Maine and designed for the harsh conditions on large lakes.Superior strength comes from a heavy duty 6" double wall extrusion and is constructed of high quality marine grade aluminum. Although frames are built for strength they weigh only a fraction of the same size wooden frame, making them much easier to install and remove for winter. Duralite frames are designed so that decking can be removed in panels and stored under cover. The frames are designed with decking supports at 16" oc. to ensure that the top of your deck feels sturdy and sound.There are several different decking choices including Cedar, composite (PVC and wood fiber), Thruflow ( fiberglass reinforced polypropelyne ), Mahogany and Ipe. Copyright 2010 Connecticut Dock Builders. All rights reserved.